The Bachelor of Business Administration (BBA) course at Rama University, is a full-time, three-year, undergraduate course that prepares young graduates to take up challenging careers in Business and Industry, and enables them to pursue higher studies thereafter. The course helps students to adapt the requisite skills that include decision-making, technical, analytical, interpersonal and technological. Amidst the ever-changing environment, the course focuses on preparing professionals who are responsible and responsive to the upcoming society demands. 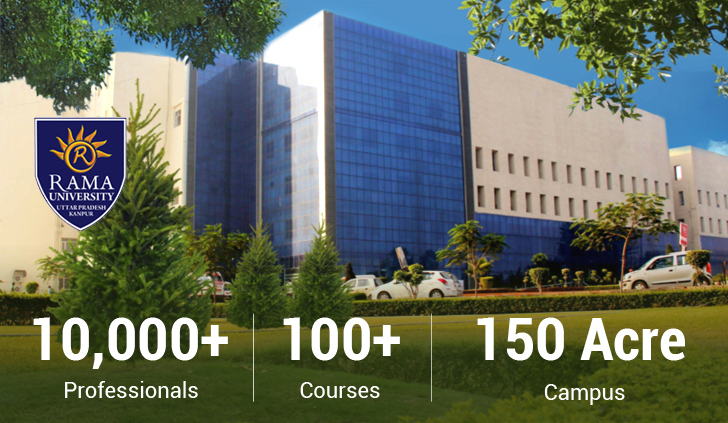 Students enrolled in the Bachelor of Business Administration course at Rama University, get their internship at reputed companies and across key industry sectors to gain direct experience through a field-based assignment. BBA students can be absorbed as Management trainees at entry level positions in different organizations such as Retail, KPO, Manufacturing, FMCG, Durables and Non-Durables. The graduates also have the opportunity in getting jobs in the sales & marketing divisions of various organizations. There are companies that recruit fresh BBA graduates, and provide them opportunities to not only earn but also to fine tune their skills in the respective field. Our BBA program is targeted towards individuals with high potential for success. Selection at RU is therefore very rigorous & competitive. Any candidate who fulfils criteria as per eligibility and willing to take up admission has to fill an entrance test form and apprear for entrance test first. After clearing Rama University Entrance Test (RUET), student will be eligible for admission, and can also claim scholarships as per the offerings of entrance test. Tution Fee for BBA is Rs.40,000 p.a.